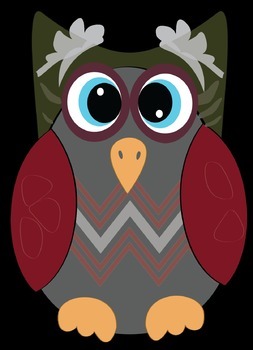 This fun Chevron Momma Baby Owl Clipart contains 11 color graphics, and 3 black lines. 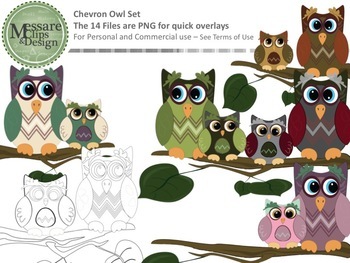 The Chevron Owls set were designed to rest gracefully on the Tree Branch graphic. 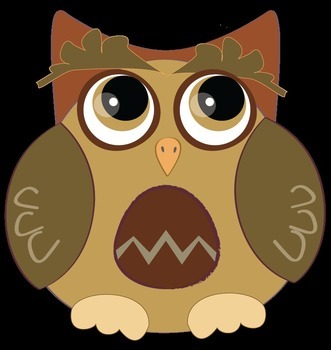 All images were created as individual, high resolution PNG files so they can be used individually or easily be layered in your projects and lesson materials. 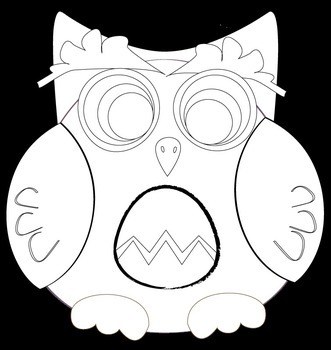 PNG files can easily be turned into JPEG files after purchase if you would like a white background around the images.